Experience the level of service you should be receiving for FREE! 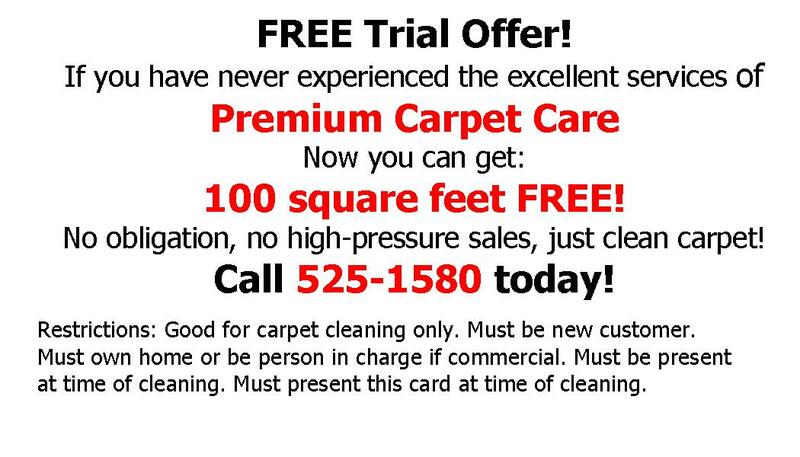 No obligation, no high-pressure sales, just clean carpet! Restrictions: Good for carpet cleaning only. Must be new customer. Must own home or be person in charge if commercial. Must be present at time of cleaning. Must present this card at time of cleaning.